The warm summer Europe is seeing is causing the desperate climate ambulance chasers to overheat and scream about how it’s all so unusual and that more human climate misery lurks just around the next corner. 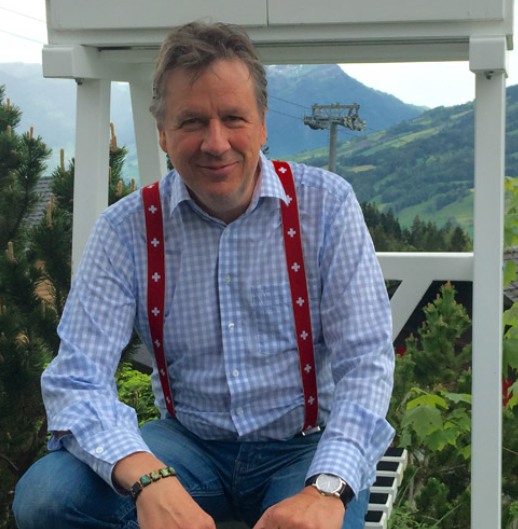 Swiss meteorologist Jörg Kachelmann says media claims of extreme heat in Germany are “nonsense”. Photo: weather.us. Already large media outlets are warning of crop failures and surging food prices. The Swiss meteorologist presents a chart showing the temperature deviation for Germany so far this July, which so far has been around 2°C above the mean, i.e. much cooler than 2006, for example. This week real hot weather will be taking hold in Germany, and so the July 2018 mean temperatures will go up some, but not enough to even come close to the temperatures seen in 2006, Kachelmann notes. It’s nice weather currently so enjoy it while it’s there (and in the UK). It’s funny how that works. In this case it is all about the definition of the term “extreme heat” and in other posts you do not accept the definition of the term “ice free Arctic”. We basically had summer since April!!! This year seems to be a pretty warm one for Europe. And that despite all the “it’s getting cooler” wishfull thinking of the skeptic’s community. One warm spring is called “weather”. Care to explain to the unwashed how the current high temperatures and drought are caused by human CO2 emissions? Kurt, please note that in no way I am implying that the current warm weather is not weather but a sign of climate change. I am just pointing out that Pierre regularly does not listen to what he just wrote here himself … a cold winter is not a sign for a cooling climate. So what drives you to ask this question? What drives you to keep running away from simple questions, seb??? You should let your AGW priests know. Thanks for clarifying that you don’t consider the current drought in Europe to be caused by human CO2. Please don’t change your mind down the road, even though you might be tempted. The article is about Kachelmsnn, not about an unrelated topic or an earlier argument which you apparently lost (and are still sore). Do try to get over it! Now focus on the article here. The general warming is caused by human CO2. A warm day vs. a cold day (or other relatively short time periods) is not caused by increased CO2 concentration. Why would it? Huh? When did I go off topic? When did i not reply to what the comment I replied to said? And when did I lose an argument about Pierre’s climate is (going to be) cooling claims because of a few colder than normal winter months? How about focussing on the thread you replied to. The general warming is caused by human CO2. A warm day vs. a cold day (or other relatively short time periods) is not caused by increased CO2 concentration. So if climate is the sum of weather statistics over the course of decades, but humans don’t cause the weather statistics, how, then, can we cause climate? How does one distinguish “general” CO2 warming from non-general warming (that is not CO2-induced)? More scientifically unsupportable GARBAGE FANTASY from seb. Do Mills and Boon write Sci-fant now, or something ??? Its just mindless TROLLING now, isn’t it seb. ZERO attempt to produce ANY EVIDENCE to back up your nonsense. Oh look, a pink elephant with purple spots. I immediately thought this sentence could be misunderstood by the usual suspects … you didn’t disappoint. and so on, mean that the general warming causes this variability or that these variations need to be caused by that something that is causing the general warming? Does whatever causes the general warming cause the temperature difference between day and night? Do those mentioned difference affect the global temperatures? Both a “general warming” or a “general cooling” are caused by the same natural factors that contributed to the cold summer vs. warm summer. The “general warming” or the “general cooling” is an effect, not a cause. or that these variations need to be caused by that something that is causing the general warming? Again, the variations (warm summer vs. cool summer) are caused by the same natural factors that caused the general warming or general cooling. From the Medieval Warm Period (~1000 C.E.) to 1600-1800, Rosenthal et al. (2013) reported that the temperature of the 0-700 m layer of the ocean plummeted by -0.9 C. What was the causal mechanism for this general cooling? Be specific. ALWAYS. You know you have ZERO EVIDENCE, so you mostly just evade and RUN AWAY little a little child. You twist and turn like a slimy eel. Never produced one tiny bit of real evidence. The mindless ranting and idiotic zero-thought regurgitation of AGW mantra, that we get from you, does not constitute evidence. You have YET AGAIN, produced ZERO EVIDENCE..
Is it possible that you don’t even understand the simplest of comments? Did i write anything about the meteorologist not knowing his stuff? Did anything I wrote require evidence? Should I have linked to the recent articles where Pierre ignored the definition of an “ice free Arctic”? Should I have linked to the DWD (German weather service) graphs showing that we have been in summer mode since April? Your comments are always “simply” attention seeking whines. Why do you keep bothering with the EMPTY posts that say NOTHING.! It looks like you have given up on the CO2 warming evidence. The level of self-awareness you display is really frightening. If you are not playing a troll part and this is your real self, you should really get some help. You meant “#faceplant” in your case. You respond with YET ANOTHER empty post, as everyone expected. But not quite as EMPTY as your answers to those two simple questions. You really need some help, but a psychiatrist would be laughing too much, then too busy writing a book on your mental malfunctionality. Maybe you could “call a friend” to help you with those answers? But we are you only friends, aren’t we seb. Always AVOIDING providing any evidence. A…of humans changing the temperature (illustrated). Of course, if you want some actual real evidence, here’s some. Gees, what a sad little petal you are , seb. Go and live in Siberia. Where am I complaining? Why are you constantly reading stuff into what people write that is not there? To me your reply looks like a desperate attempt at attention-seeking. Why do you project your own situation onto others like this? You are also no stranger to complaining either … so what’s up with these strange comments? What a petty little child you are. ALWAYS the desperate PLEA for attention..
.. and then when you get some attention, you get all sulky and petulant. I bet you can’t stop yourself from replying. So funny watching your juvenile antics. CONstantly attempting to mirror someone else’s comments, because you are INCAPABLE of any self-thought. PATHETIC, is the gentlest term that could be used. That almost sounds alarming — yawn! 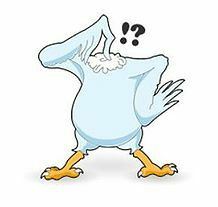 Is anything that is currently happening around the globe outside the normal bounds of natural variation (apart from all the unnatural screeching from the cAGW advocates)? I don’t think so, unless you have some evidence to the contrary SebastianH. The infamous skeptic imagination at work … bravo. Yes, you have made that patently clear that EVIDENCE is irrelevant to you. I’m curious. Why do we need to have evidence to support our position that there is nothing unusual occurring climatically around the globe that falls outside the range of natural variability (and we provide this evidence regularly on this website), but you and your side do not need to present evidence to support your beliefs that CO2 controls temperature, glacier melt, sea level rise, hurricane intensity, pH in oceans, species extinctions… Why the double standard? I deny that you have shown one iota of evidence, ever. ALL of your posts to date are evidence free of man’s ability to significantly change the climate because of our mediocre exhaust of CO2 to the atmosphere. And yes, YOU as an advocate of the UN-IPCC’s nonsense, should provide that evidence because according to you, and people like you, believe that the running of Western industrialized society needs to change significantly because of this IPCC promulgated scientific supposition. This UN unscience. You should at every turn explain in detail why the western world should bow to the UN-IPCC’s and your reading of those deranged ideas. But you wont — because you can’t. You can’t because you have NO evidence. Not without indisputable evidence you don’t! And not without a political fight! and you don’t need to explain because…, er, just because you’re SebastianH, eh? No SebastianH, I and many others here understand that cAGW advocates such as you, do not require evidence, no explanation, just a good line in propaganda, just pseudo-scientific flim-flam, and mumbojumbo. So there you go again lost in your own smoke and mirrors, and now lost the argument. You guys have been pointed to the evidence plenty of times and ignore it wholeheartedly. Yet you demand from your opponents that they need to point you to the data/evidence or else their criticism isn’t worth anything. The evidence is readily available … why do you need a push to read into it? I am not your science nanny, tomOmason. You guys have been pointed to the evidence plenty of times and ignore it wholeheartedly. What if we’re not ignoring the evidence that says humans control the size of glaciers in Antarctica by burning more or less fossil fuels, but we find it utterly non-convincing? Why do you think we should be convinced by the “evidence” that humans exert dominant control over the size of the polar ice sheets or the pH in oceans or the temperature of the deep ocean? Have natural factors been ruled out as causal mechanisms for these changes? If so, when did this “ruling out” occur? and its really quite HILARIOUS. Have you found the answers to those two simple questions yet seb? Do you need “refreshing” ?? Let the headless chook evasion continue apace. !! Which, for them, is a week or two without rain. YAWN !! They should get out and enjoy it for the short period it will last. Then back to “normal” . Also of note is that the Fire of London in 1666, happened during a long hot dry spell during the LIA. In my part of the world, northern Canada, our winter was much longer and colder than normal. -20 to -30 right through the middle of April! That’s approximately 30 degrees colder than normal! Still colder than normal even now. We haven’t seen any normal summer weather. Still around 10 degrees cooler than normal. What part of Northern Canada? We hit 39.4° (103°F) last week. According to Joe Bastardi’s “Daily Update” the West Coast has most of the nation’s heat. In the longer video (his “Saturday Summary”) he says that will last for about another 3 weeks. 3 weeks gets us to mid-August. After Aug. 10th, the subsolar point is heading south at a good clip. Charts will show it is about then that “very hot” becomes less of a probability. Joe is usually right about these things, so I’m looking forward to it. Spain is much cooler this year. Winter, spring and summer. Is the answer Chocolate Chip & Walnuts? Seb I have been looking for global warming for longer than you have been alive. More than 30 years. I havent seen it yet and no one that I meet has seen it yet either. Greenland is losing ice 1/1000 per year and back in the 1930s had less ice than it does now. So climate is just a big cycle. Even if the whole Arctic melted it would only raise the seas 20mm ( less than 1 inch). That is because the ice which is partly salty is already floating on the water. 95% of Antarctica ice land mass has average temperatures -20C(minus 20) How in the hell is that ever gonna melt if the temperatures in the air above the 95% of Antarctica ice mass never goes above ZERO? Seb, an engineer figured out that it would take 24000 years to melt all of the world’s ice even if you had 1000’s of giant blowtorches melting the ice. There is that much ice in Greenland and Antarctica. Even if all 200000 glaciers in the world melted the sea level would only go up 400mm. About a 1/3 of the glaciers are receeding a 1/3 are declining and a 1/3 not doing much. Even if the world temperature went up on average 3 degrees what bad things would happen? NOTHING. In Canada we often get temperature changes of 20 to 25 degrees in the same day. Even the IPCC has admitted that the temp increase so far is less than 1 degree per century. So what in the hell are you worried about? Your own shadow? Greenland is losing ice 1/1000 per year and back in the 1930s had less ice than it does now. So climate is just a big cycle. Why should it all melt? Even if the world temperature went up on average 3 degrees what bad things would happen? NOTHING. That would mean a rather large increase in sea levels and regions would have to change how they do argiculture. There are enough studies of what the economic consequences would be readily available. So what in the hell are you worried about? Your own shadow? I am worried about people like you. Ignoring reality and trying to convince others with their “experience” that there is no global warming. Is there any point in which you find warmth relative to cold beneficial, or non-worrying? We’ve warmed up by about 1.0 to 1.5 C since the Little Ice Age. Why is this a bad thing? Kenneth, do you think the current global temperature is too cold and that it should be warmer? Is that because whereever you live it’s generally too cold and you wish for more vineyards in your region? Isn’t that worldview a littlebit self centered? Kenneth, do you think the current global temperature is too cold and that it should be warmer? Considering people are 20 times more likely to die from cold temperatures than warm temperatures – and I prefer to have people die less than die more – warmer temperatures would be beneficial to humanity…as well as the animal kingdom and plant species. With the advent of air conditioning, people are flocking to the warm-weather regions, and moving out of the cold-weather regions. Why do you think they do that? Is that because whereever you live it’s generally too cold and you wish for more vineyards in your region? No. I live in a four-season area where crops are grown to feed the world and to produce biofuels like ethanol. I’m grateful for the temperatures we have here. I’d move south if I wanted it to be warmer, but it’s good enough as it is. By the way, I live in the Midwestern U.S., where it’s been cooling for decades. Isn’t that worldview a littlebit self centered? I don’t have the worldview you’ve made up. Do you have the worldview that killing more people with colder weather would be a good thing since cold kills 20 times more people than warmth? Please identify the negative consequences of warmth relative to cooling. We are very much art the COOLD end of the current interglacial. If you want it COLDER, then move to Siberia. But you won’t will you seb. Talk about “self-centred” its all you have. But it matters not what we want, MN will continue on her merry way, NATURALLY. 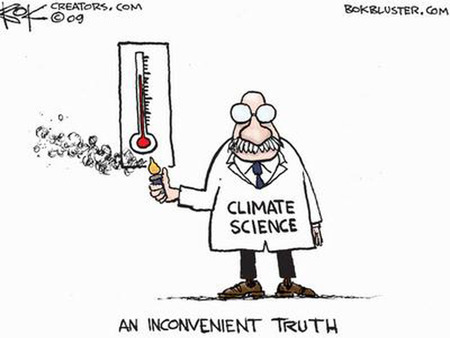 NO EVIDENCE of any human effect on real temperatures except UHI, airports, tarmac etc.. CERTAINLY no evidence of any warming from human atmospheric CO2. Seb seems to be IGNORANT of the AGW meme that cold areas will warm more than nice pleasant warm areas. Nothing unusual about seb being IGNORANT, even about the AGW meme. I never could understand why say, Canadians, or Siberians etc would be worried by a little bit of NATURAL warming. A couple of degrees of warming in colder climates would open up VAST swathes of land for farming..
.. especially if it was accompanied by a natural rise in atmospheric CO2 for plant growth. Considering people are 20 times more likely to die from cold temperatures than warm temperatures – and I prefer to have people die less than die more – warmer temperatures would be beneficial to humanity…as well as the animal kingdom and plant species. Move to a place without seasons and generally warm weather and see how those places do. With the advent of air conditioning, people are flocking to the warm-weather regions, and moving out of the cold-weather regions. Why do you think they do that? What do you mean? Retirees moving to Florida? I’d move south if I wanted it to be warmer, but it’s good enough as it is. 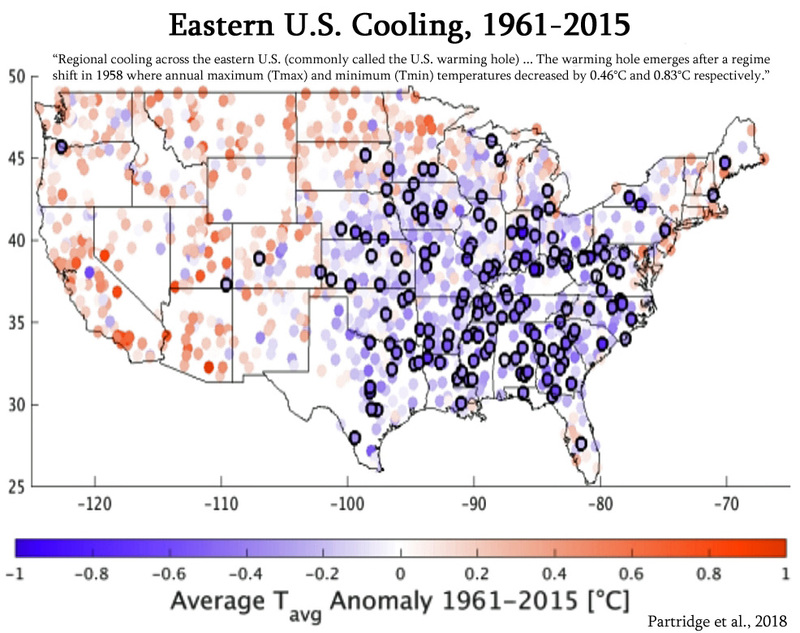 By the way, I live in the Midwestern U.S., where it’s been cooling for decades. I don’t have the worldview you’ve made up. Of course you do if you wish for it to be warmer at your place because warm is better than cold. Do you have the worldview that killing more people with colder weather would be a good thing since cold kills 20 times more people than warmth? You still don’t seem to understand what is going on. Do you think trying to limit the temperature increase to 2 degrees by transitioning to a more sustainable economy is “killing people with colder weather”? Why? How? Please identify the negative consequences of warmth relative to cooling. Please identify why trying to limit the warming is suddenly cooling? Those “places” seem to be doing well. And Canadians and Swedes and Norwegians live in the southernmost parts of their national boundaries. They move to the warmer weather rather than the colder weather. KR: I live in the Midwestern U.S., where it’s been cooling for decades (links to a peer-reviewed scientific paper). Um, I just wrote that I don’t wish for it to be warmer at my place. Did you miss that? Do you think trying to limit the temperature increase to 2 degrees by transitioning to a more sustainable economy is “killing people with colder weather”? I never mentioned anything about limiting the temperature to 2 degrees by using more wind and solar and transitioning away from fossil fuels (which is what I presume you think “transitioning to a more sustainable economy” means). Instead I mentioned that cold weather is 20 times more likely to kill people than warm weather and that people and animals and plants prefer warmer weather in response to your question “Do you think the current global temperature is too cold and that it should be warmer?” Again, I disagreed that it is too cold or warm where I live. I like where I’m at. Huh? I didn’t write anything about “trying to limit the warming” (with renewables expansion). Nor did I write that attempting to mitigate CO2 emissions is “suddenly cooling”. How did you even get that from what I wrote? As to negative consequences to warming, feel free to read any one of those studies about the consequences of a warming climate. Back in the 1970s, there was widespread concern about the effects of global cooling leading to droughts, food shortages, crop failures, extreme weather… Wikipedia? Your grasp of reality is highly tenuous to say the least. !! Why should anyone try to understand your make-believe fantasies and fairy tales. Or perhaps you could invent another irrelevant analogy to help us all understand. Or maybe just PRODUCE SOME EVIDENCE. “I am worried about people like you. Ignoring reality and trying to convince others with their “experience” that there is no global warming. I am worried about trolls like seb, who are TOTALLY UNABLE to back up any of their mindless NONSENSE and BLATHER with anything resembling science. Seb lives in a land totally DEVOID OF REALITY.. a make-believe fairy-tale land. And is so brain-numbed by the AGW religion that he doesn’t even realise it. Seb, you have yet to show us ANY EVIDENCE WHATSOEVER of human CO2 caused global warming. Here, I’ll very kindly help you focus , with a couple of simple questions…. Do at least TRY ! This may very well be true, but remember that every chain of logic that starts with “human beings produce carbon dioxide” and ends with “this causes catastrophic climate change” goes through the “positive water vapor feedback” hypothesis in which higher levels of atmospheric water in the form of higher humidity and higher cloud cover amplify the small amount of warming caused by human produced carbon dioxide. Ergo, when someone suggests that droughts are are either being caused by or are made worse by human activity they are asserting that droughts are caused by there being too much water in the atmosphere. In reality, “droughts” that are accompanied by “an acute shortage of precipitation” are low atmospheric water phenomenon. If the “greenhouse effect” were real it would cause surface-level warming where the “greenhouse gases” are, i.e., where there is high humidity and high cloud cover. What we see in the real world, instead, is a drop in the average surface-level air temperature in those regions that are the highest in humidity and cloud cover compared to very arid regions that lie along the same latitude.